MM is now at an age when I can show her a simple process, sit back and watch her enjoy her own aptitude and that means that - finally! - we can do some basic arts and crafts! One of the downsides of my kid not going to nursery is that she's limited to my ideas and my willingness to clean up paint/goo/flour. 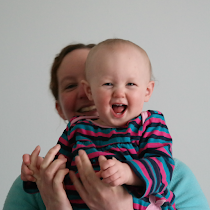 I feel a certain amount of pressure to keep up with the childcare-attending Mini Joneses which is why, if you follow me on Pinterest, you'll have seen a lot of toddler activities being pinned recently; searching for arty inspiration seems to have replaced Twitter as my go-to social media skive. Contact paper (that's "transparent sticky back plastic" to anyone of my generation). 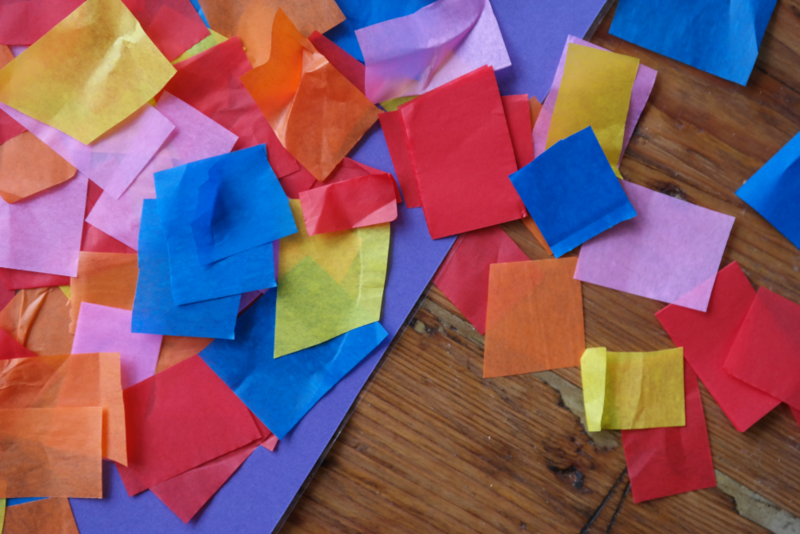 Cut or tear the tissue paper into little pieces (older toddlers will be able to help with this). Cut a shape in the card - your toddler is unlikely to care how recognisable the shape is, however I opted for a flower (which looks a bit more butterflyesque, I think). 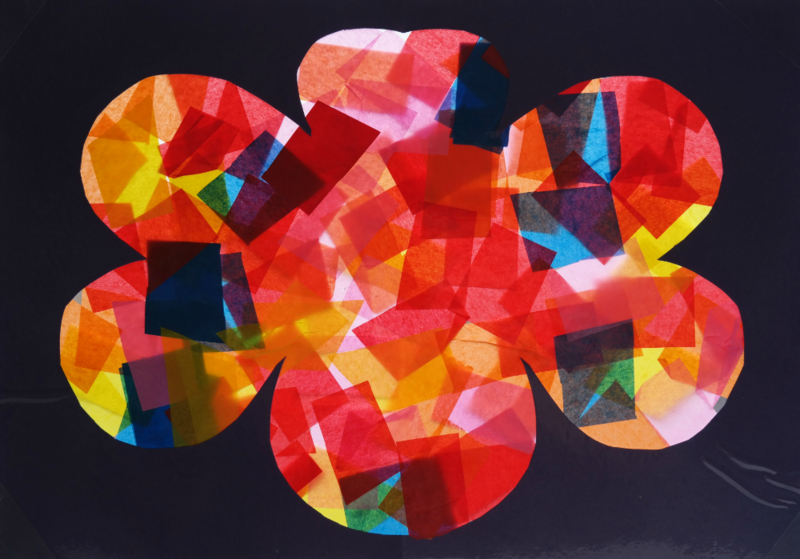 Cover one side of the card with the contact paper - your shape will now have a sticky surface. Heap bits of tissue paper onto the sticky surface. Press them down. Attempt to peel them off a few times. 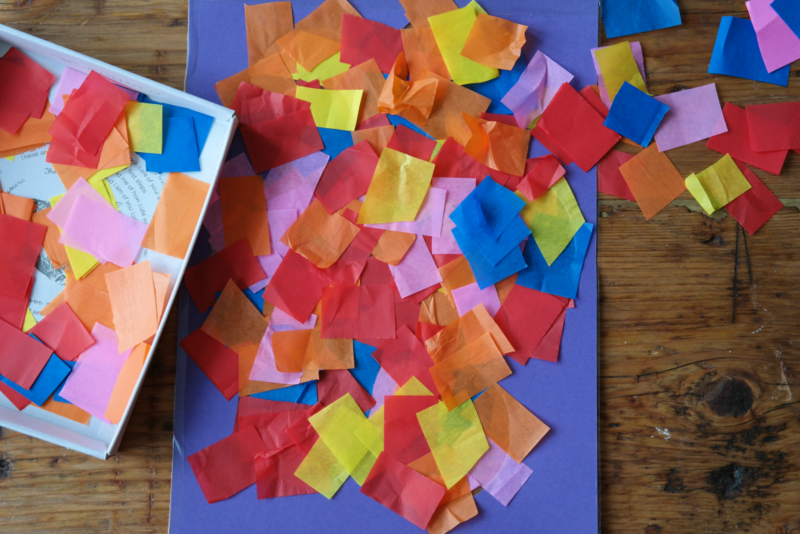 Be encouraged to move some of the bits of tissue paper onto the bare areas. Do so, then return to building your tissue paper mountain right in the middle. Knock it over several times. Rebuild. Keep doing this until your attention wanders. Wander off. Shake off lots of loose bits of tissue paper. 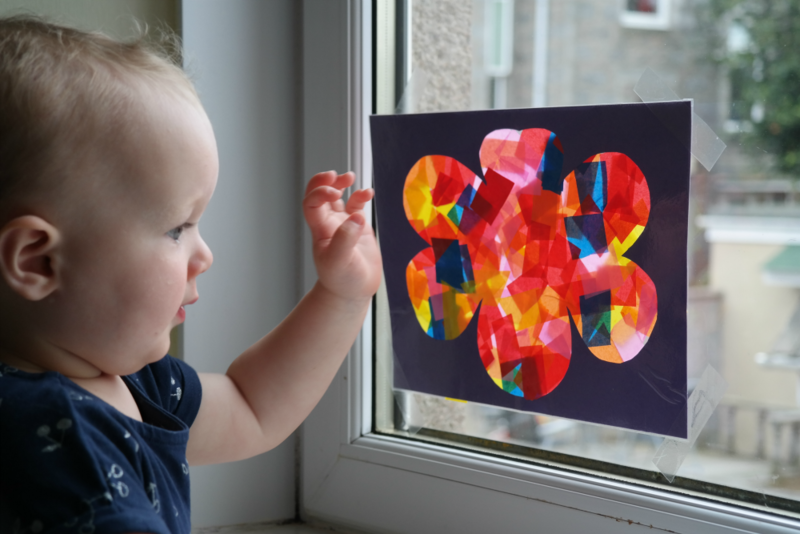 Use strips of contact paper to stick the suncatcher to a window (again - older toddlers could help with this). Encourage toddler to come and admire their work. So simple... but isn't the finished product gorgeous?